Would you love to improve your Smile? 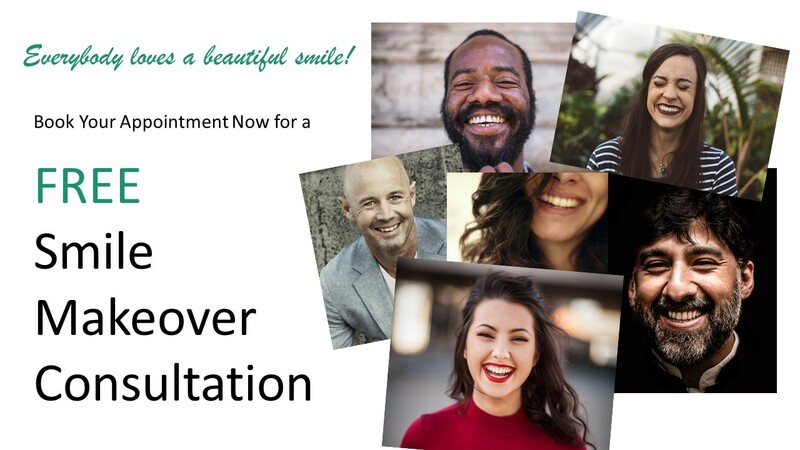 Take advantage of our FREE Smile Makeover Consultation, and get all the advice and information you need from our specialist team for FREE. 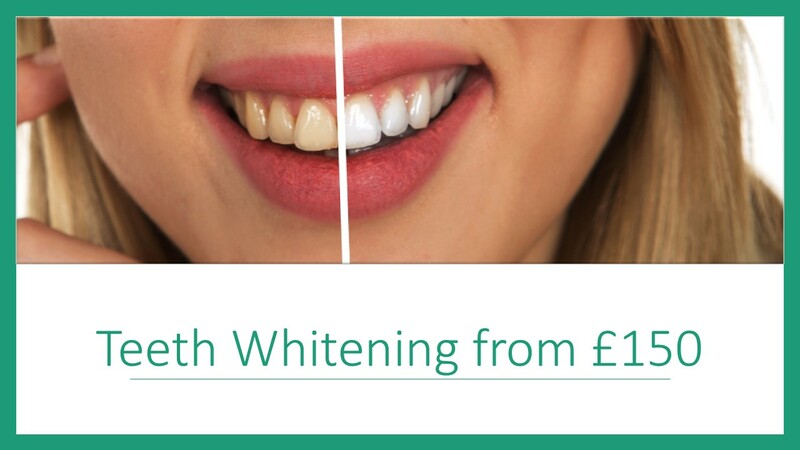 Got a Special Occasion or just want nice white teeth? Whether you have a Special Occasion coming up and want to look your best or if generally you just want nice clean white teeth when you smile, our Teeth Whitening offer is for you. A treat for all the hard work of Alignment. 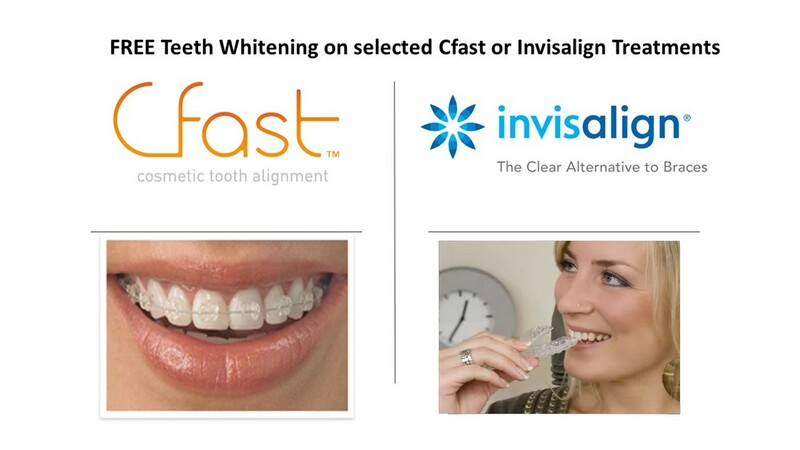 FREE Teeth Whitening Treatment when you book selected Teeth Alignment Treatment using Cfast or Invisalign. Are you not smiling as wide as you could because of a gap? Perhaps you have lost a tooth or maybe a few due to an accident or illness, and it stops you from smiling as widely as you could. It may even be affecting your self confidence. 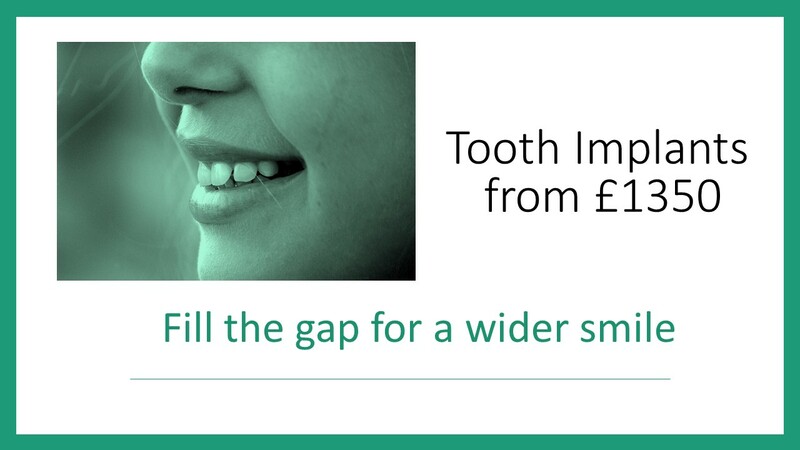 Why not consider tooth implants, and smile broadly and confidently again. If you are considering a particular dental or cosmetic treatment but are worried by the cost involved then you may be interested to find out more about the 0% finance packages- now available at Village Dental Surgery. 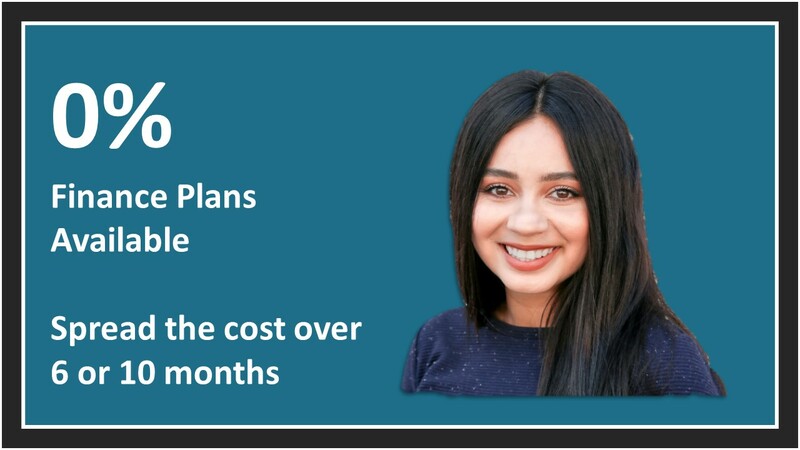 We have two simple options available- offering 6 month and 10 month repayment terms- helping to break the final total down into more manageable monthly payments and making those particularly expensive treatments accessible and affordable to all. 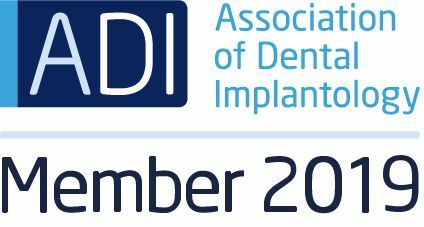 0% finance is available on a number of dental treatments including teeth whitening, bridges and dental implants. Spread the cost of your treatment with a number of smaller, regular payments over 6 or 10 months. Get the treatment you need or want in an affordable way. Interest free- avoid the need to pay an extra cost by taking out a bank loan or credit card. Easy and quick application- just visit us in the practice to fill out a form. Available for treatment costing from £500 to £5000, but in special cases we can extend the upper limit.